On Wednesday, Cuba got the results of its annual drug test. It passed. If we had to guess, no one on the island was sweating out the wait for the 2015 edition of the U.S. State Department narcotics control strategy report. But several pro-sanctions hardliners had to be disappointed by the results. As required under laws passed by the U.S. Congress, the State Department monitors the performance of countries around the world on their efforts to control illegal drugs and chemical precursors, as well as how they enforce laws and meet global standards on money laundering and financial crimes. Countries with low marks get branded as “major illicit drug transit or illicit drug producing” or “major money laundering” countries, and risk losing certain forms of U.S. foreign aid. Low marks or high, many nations question why the United States, a wealthy market for illegal drugs, should judge the internal law enforcement policies of others. Cuba, which is effective at counter-narcotics enforcement, resents such reports as intrusions on its sovereignty, and pays little heed to the threat of being penalized, since it receives no government aid from the U.S.
We’re shining a light on the report now because its findings are relevant to the domestic debate in the United States on President Obama’s decision to seek the resumption of diplomatic relations. The report’s findings support the notion that reversing Cuba’s diplomatic isolation and increasing bilateral cooperation on issues like counter-narcotics is in both countries’ self-interest. Volume One of the report makes clear that Cuba is a high achiever on narcotics control. It gets good grades on measures like domestic law enforcement, prevention, and education programs; for devoting its scarce resources to interdiction, and for its bilateral agreements on counterdrug cooperation and policing with dozens of other nations. In Volume Two, which identifies the major money laundering countries of 2014, Cuba gets good grades on so many measures it is placed in the least worrisome category of “Other Countries/Jurisdictions Monitored,” with nations like close U.S. allies Sweden, Norway, and New Zealand. This means that Cuba earned higher marks than Canada, Chile, China, Saudi Arabia, Israel, the Vatican, and the United States itself. In its country-specific report, the State Department makes special mention of Cuba’s cooperation with the U.S. Coast Guard Drug Interdiction Specialist at the U.S. Interests Section, the sharing of tactical intelligence about suspected traffickers with the U.S., and its demonstrated willingness to apprehend and turn over U.S. fugitives involved in drug cases. These findings align with the views of Randy Beardsworth, a former Acting-Undersecretary for Homeland Security, who also served as a Director for Defense Policy on the National Security Council Staff for two administrations, and is a retired Coast Guard Captain. Expanding diplomatic relations and opening embassies, in his view, offer the prospect of building on the relationship and expanding the effectiveness of both countries’ counter-narcotics strategy. The Cubans are apparently ready to do this and more. Cuba has previously proposed intensifying the cooperation that now occurs on a case by case basis, by negotiating a formal agreement to fight drug trafficking. The Prensa Latinn news agency reported that Cuba’s chief negotiator, Josefina Vidal, sees the diplomatic breakthrough giving new impetus to formal talks on this issue. 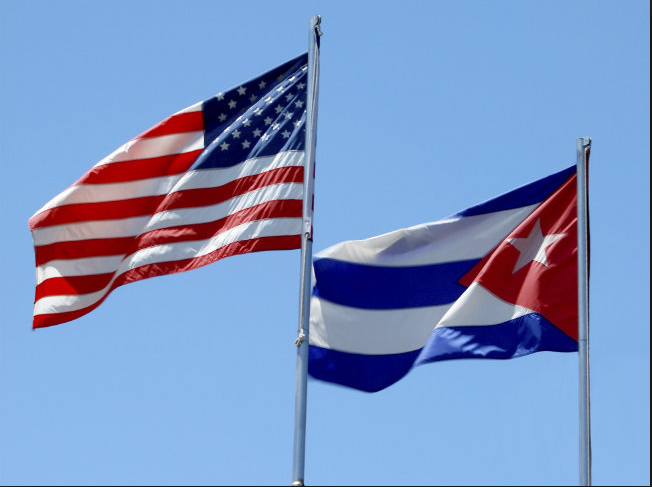 If diplomatic relations helps the U.S. and Cuba to expand cooperation and make more progress in their counter-narcotics programs, this will eliminate a familiar “drug of choice” talking point against President Obama’s policy. In just the last few months, hardliners have argued against diplomacy with Cuba, or removing it from the list of State Sponsors of Terrorism, for its alleged complicity with drug trafficking networks.